With the delicate fragrance of fresh cut roses, De La Cruz Glycerin and Rose Water features pure rose petal extract and natural vegetable glycerin to leave skin and lips soft and supple. Apply liberally to dry, rough areas as needed. 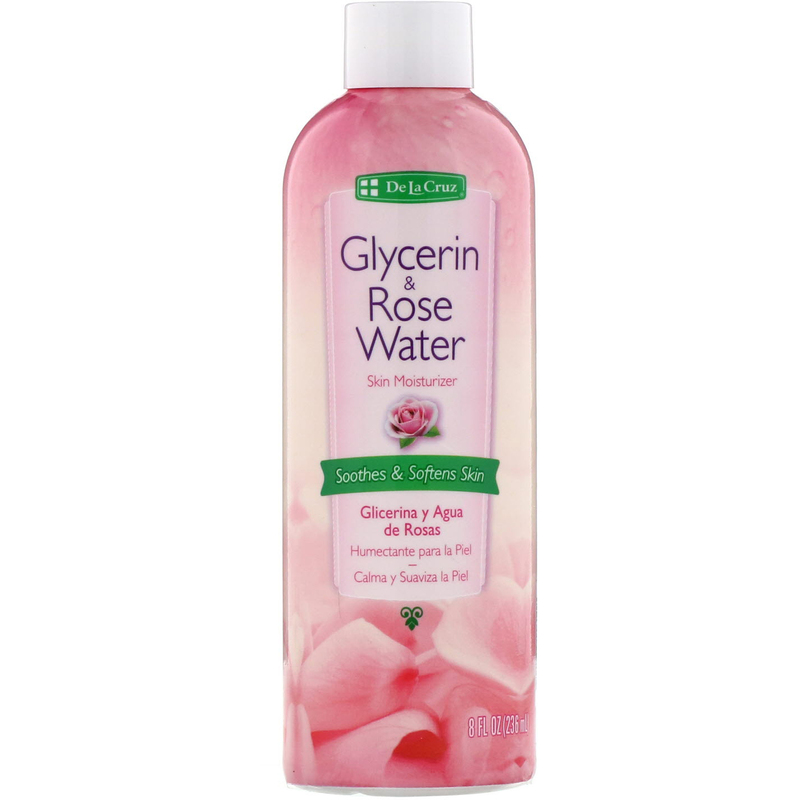 Water, glycerin, fragrance, rosa centifolia (rose) flower extract, phenoxyethanol, PEG/PPG-18/18 dimethicone. For external use only. Avoid contact with eyes. Keep out of reach of children. Stop use if irritation occurs.